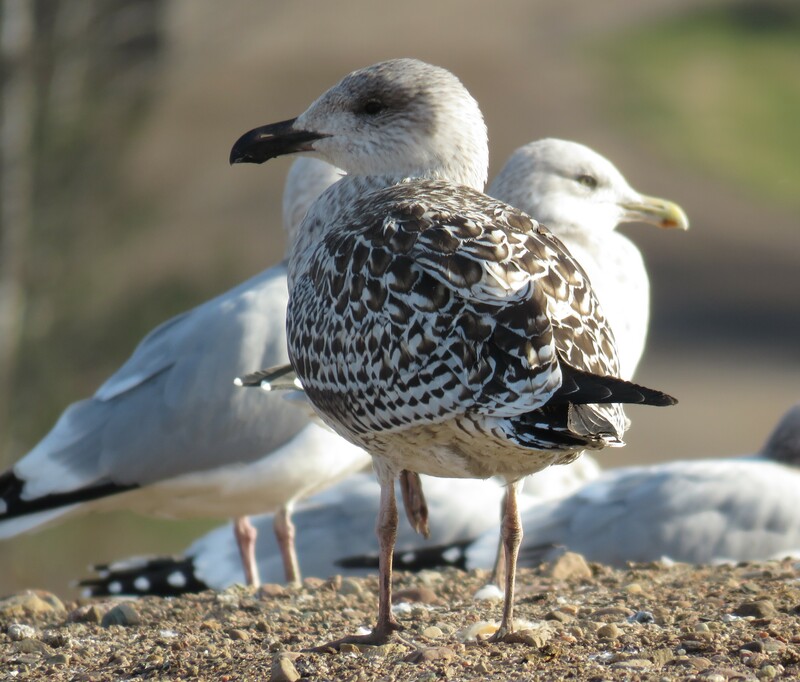 It’s so helpful when they stand right next to one another ; Great Black-backed at rear; Lesser Black-backed at front. 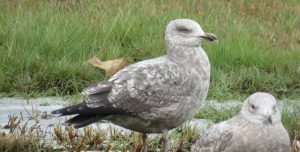 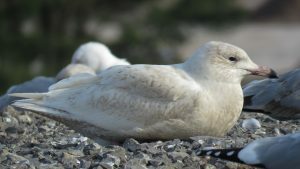 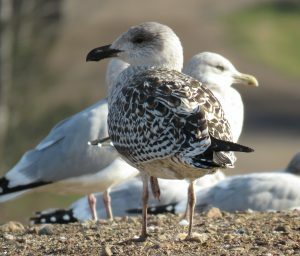 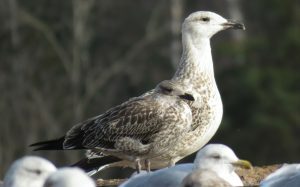 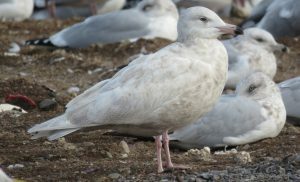 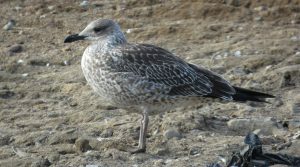 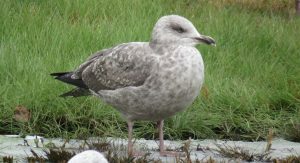 A second cycle “Northeastern” Herring Gull. 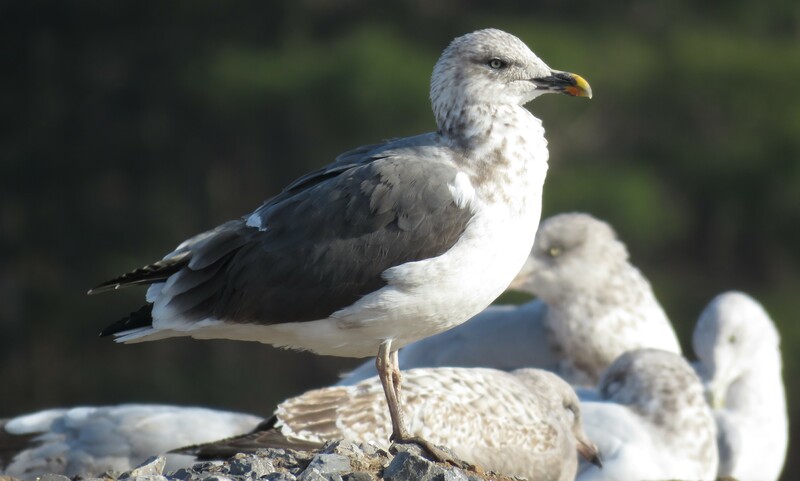 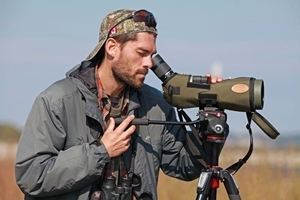 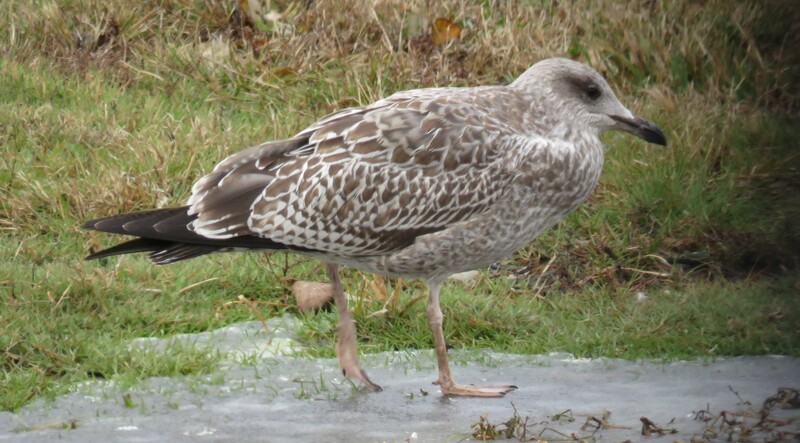 These striking gulls are dusky brown in second cycle and have staring, pale irides. Lesser Black-backed Gull, first cycle; note the new generation scapulars feathers, which differ from those of the above bird..